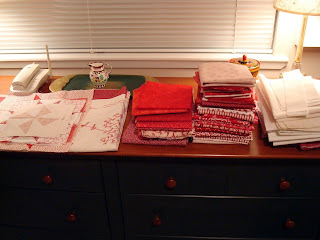 Squash House Quilts: Clear the Clutter! Thanks again for all the wonderful birthday wishes! I don’t have any sewing or quilting progress to share with you today as we pretty much worked on the house all weekend. My fingers were so tired last night that I barely got two needles of thread sewn on my embroidery project! Good progress is being made! Other than a shopping trip for a new shower curtain, towels and a few “real-estate approved” Chatskies, we almost have two new bathrooms! I also bit the bullet and packed up almost all of my quilting books, as well as - and this took real courage - my large thread storage box and my light-tracing box! It was really sad to see the tape seal up those boxes! I also received a little box from Amazon with some birthday gifts I purchased for myself! 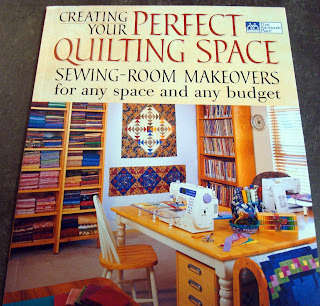 The first one is “Creating Your Perfect Quilting Space” by Lois L. Hallock. She is a local gal who is a professional organizer and a whiz at helping you make your room into the quilting studio of your dreams! I plan to use this extensively at the Squash House! It's all about clearing the clutter! This book even has a section on ergonomics for ironing, rotary cutting and other commonly repetitive tasks we quilters perform. 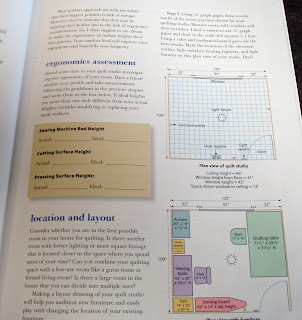 She also has detailed instructions on how to measure your furniture, then plan your space! I can’t wait to get started! 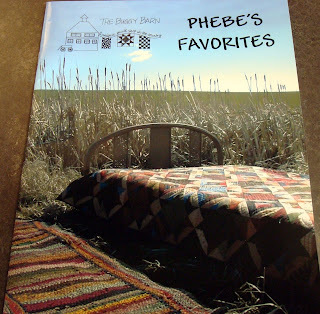 The other book I got is Phebe’s Favorites by those ultra-creative gals at The Buggy Barn! There are several scrappy quilts in this book, but the one that really catches my eye is String of Stars! I leave you today with a sad pile of Winter Wonderland fabrics and completed blocks! I look at them every day as they sit whimpering for attention in the studio! Don't you feel sorry for them? I can’t bear to pack them away just yet - you never know when I can steal an hour or two to nurture them along! I adore your winter wonderland quilt, I can hear them crying from my home!!! Don't pack up the snowperson quilt. You have to have something to work on. My perfect sewing space exists only in my mind. Right now I'm stepping over piles! Not good. Ooooh! 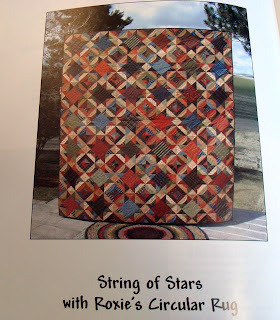 I LOVE that string of stars quilt, I might have to order the book! Boy do I need to clear the clutter, looks like a good book. You must keep one project out for working on, the redwork quilt is perfect for picking up and doing a few blocks. The book on quilting spaces is fantastic! I just drool over the pictures. I found the ergonomics very interesting and one day when I have my own space (instead of a dining room table) I'm really going to design it accordingly.